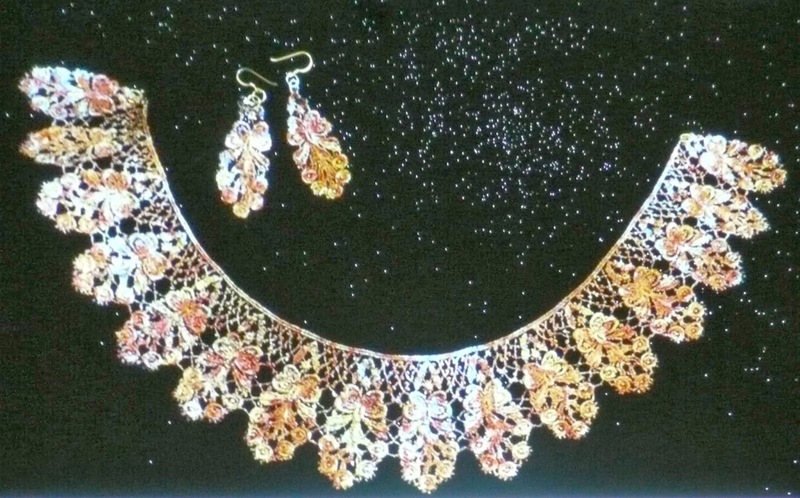 Jo Mabbutt gave us a very stimulating talk on how she has developed as a decorative artist and her special interest in vintage and antique lace. 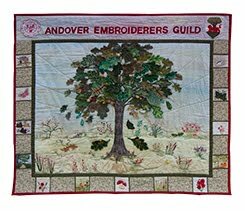 She originally trained as a decorative painter and interior designer at Guildford College, where she continued for some years as a teacher. Before gilding the lace, Jo takes prints, using the lace as a stencil. In the gilding process, Jo uses gold leaf, variegated gold leaf and metallic transfer foils to achieve some wonderful results. 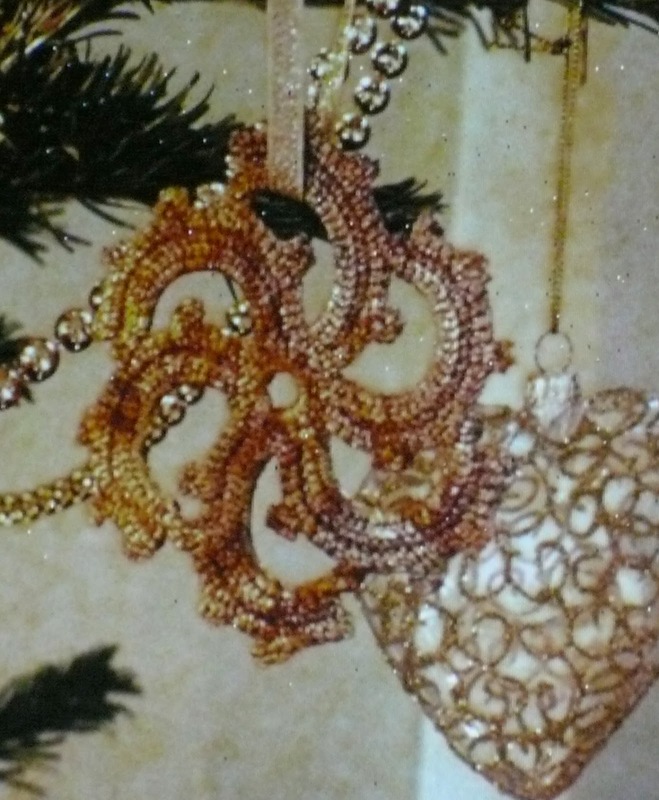 Jo has adapted the technique to make jewellery, Christmas decorations, cards and pictures. 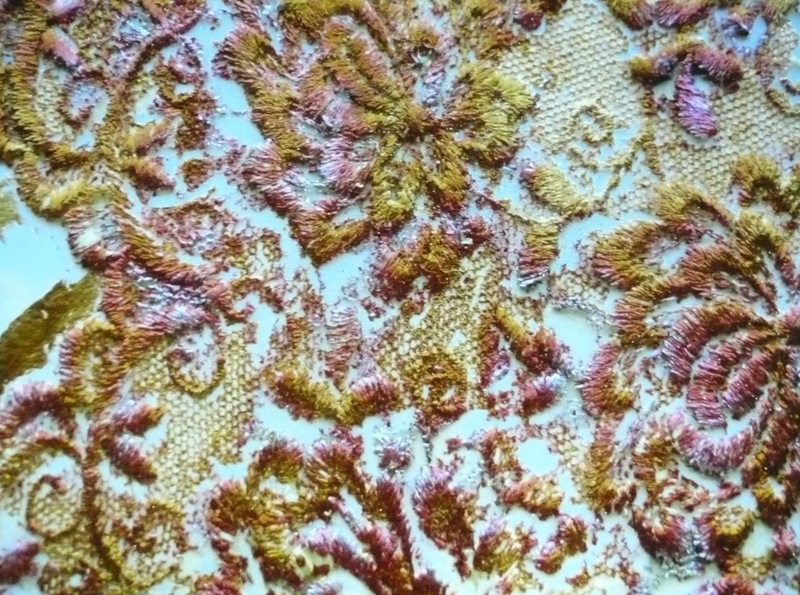 She also collaborates with other artists, providing pieces of gilded lace which are incorporated into clothing and bags. As well as being a NADFAS lecturer, Jo is an active member of the Worshipful Company of Painters-Stainers. 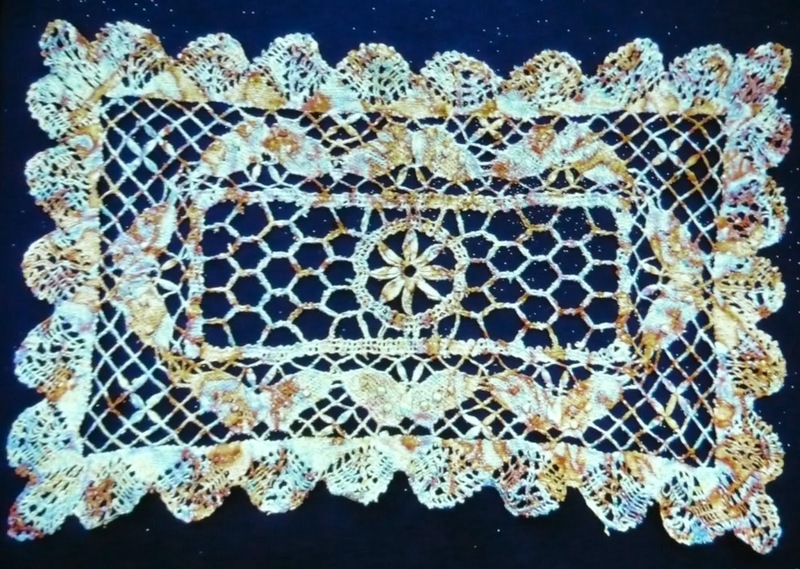 Thank you Jo, for talking to us and inspiring us to look in the cupboard for Granny's old lace, with a view to giving it a new lease of life!